She's Fantastic: Justice League of America HAWKGIRL! 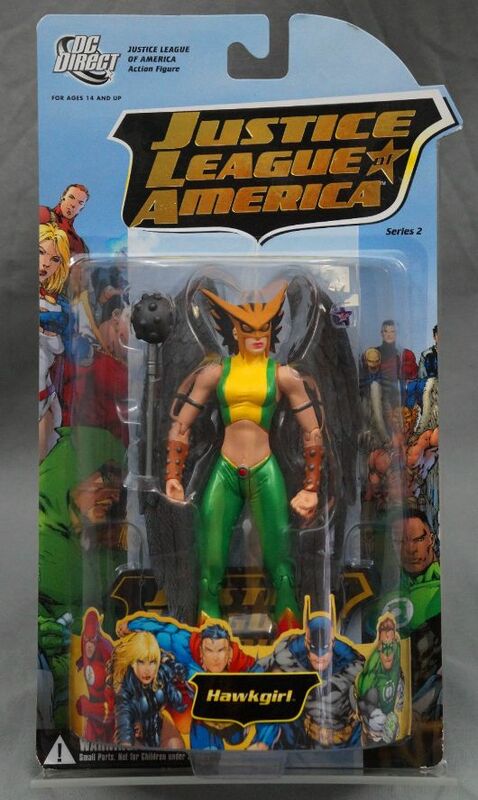 Justice League of America HAWKGIRL! 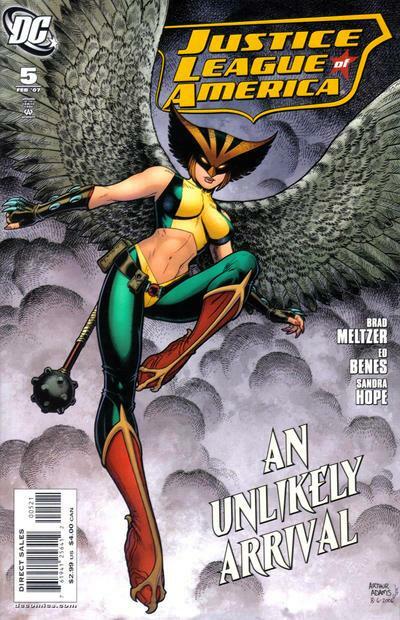 Hawkgirl is one of the oldest female costumed heroes in comics. She was first introduced in All Star Comics #5 in 1941 and has held her own in the DC Universe ever since. I was always aware of her as a character, but somewhat abstractly as I only ever saw her as the wife or girlfriend of Hawkman, and never a hero in her own right. Then she was cast in the Justice League and Justice League Unlimited cartoons as one of the seven core members of the League. This cartoon version was physically based on the Silver Age Shayera Hol character, although her personality was a new creation for the show. These cartoons boosted her popularity immensely and now she is always considered one of the great DC heroines. So when the Justice League of America comic rebooted in 2007, she was a shoe-in. This action figure represents that incarnation of Hawkgirl (as Kendra Saunders) in the artistic style of Ed Benes via the sculpting prowess of Ray Villafane. Let's check her out in detail below! I think her sculpt is very well done, but it doesn't really represent the curvy Ed Benes style. In fact, almost all the figures in each the Benes JLA waves looked a little stiff and awkward (IMO). Wasn't a fan of this sculpt myself and picked up the Brightest Day version over this. And is my favorite rendition over all the Hawkgirl figures. The sculpt on it is just so sharp and clean cut. If you actually have the figure, you should have a comparison picture if possible. Matter fact, I enjoy all your comparison articles when you publish them. My favorite is actually the JSA HAwkgirl from 2007 (with the removeable mask). When I review her I'll do lots of comparisons with my other Hawkgirls. My collections are all still packed up from my last move but I plans to start work on my toy room on Monday. The Comparison pics and Characters Spotlights are my favorite part, too. Those were always the images I would be searching for before I decided to start this website and just do it myself. 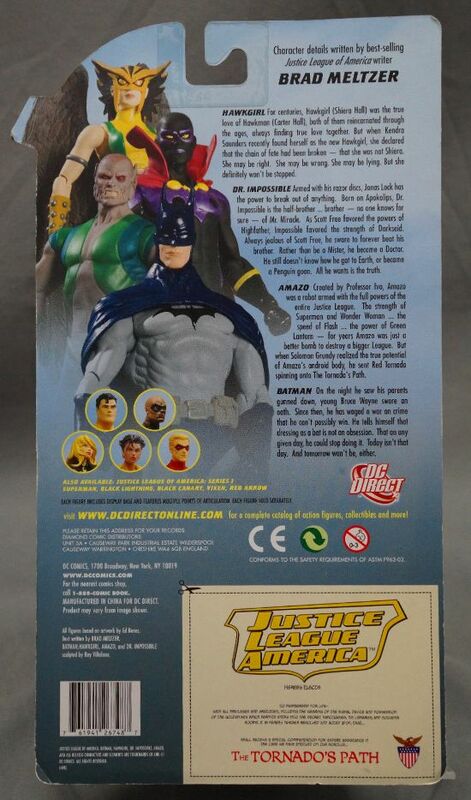 The JSA HG that you mentioned is actually in my customs backlog for a DC Classics conversion. That HG is definitely a beautiful figure and I can second your claim without a doubt. Funny that you mentioned about figure research, I find myself doing that a lot before a character specific purchase or for researching a character for custom fodder. I'm sure we are not alone, so those articles alone contributes so much for the community. You have my thanks. You know so far, I have really enjoyed your blog much. Please keep up the good work sir. Beautiful figure and photos as usual. Hawkgirl is one of those female figures that I want to have every version of. Nothing looks better than those wings and this sculpt is impressive. I'm very upset that I sold off a lot of my Hawkgirl collection a few years ago. Including busts and maquettes.. and that classic Silver Age figure which I really regret parting with. I think I only have three left now. Might have to rebuild the collection. She really IS Fantastic- great figure!